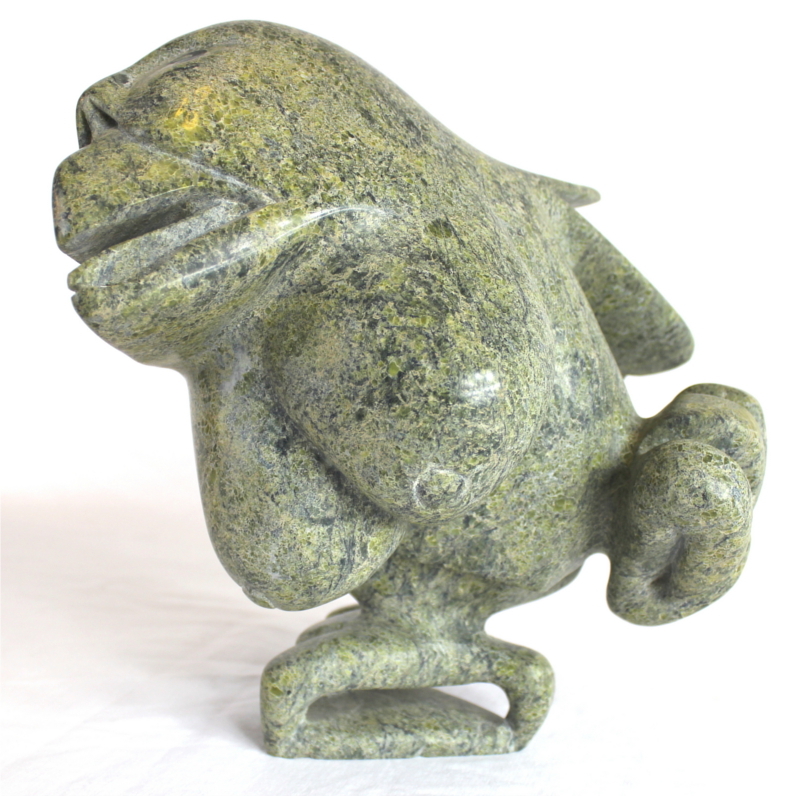 Impressive piece from Cape Dorset. 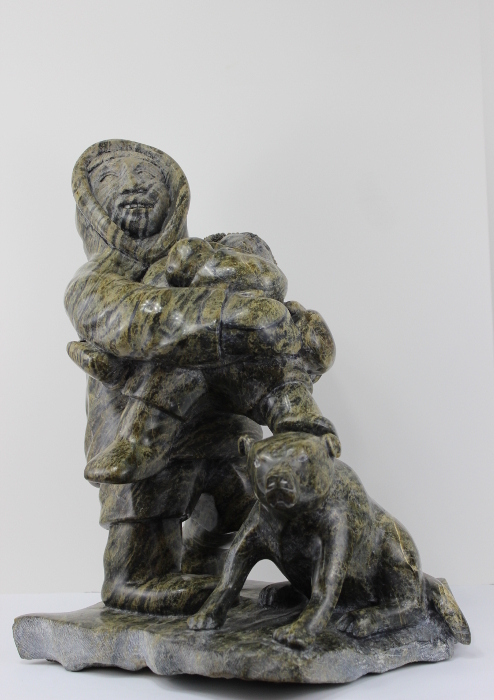 This gorgeous composition of a father, son and dog is a stunner. 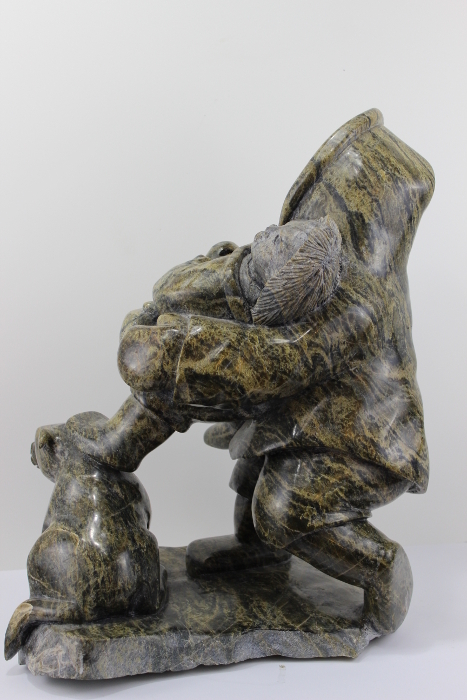 The serpentine used in this piece is a phenomenal colour and catches the eye. 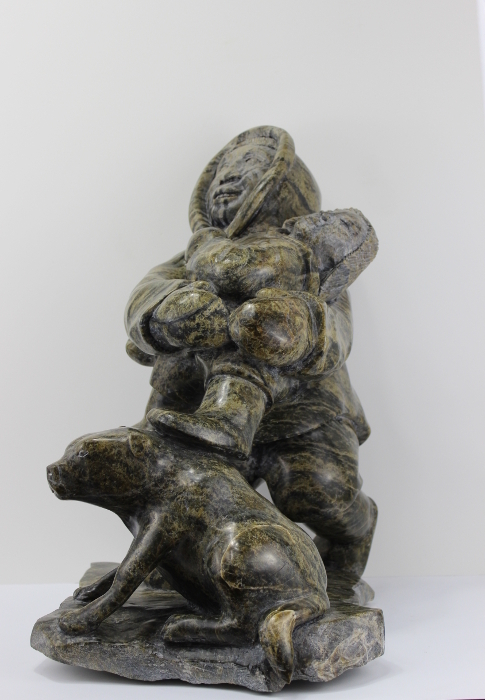 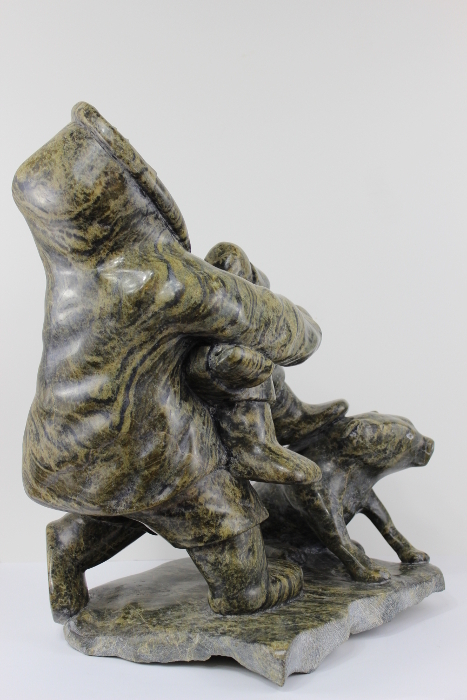 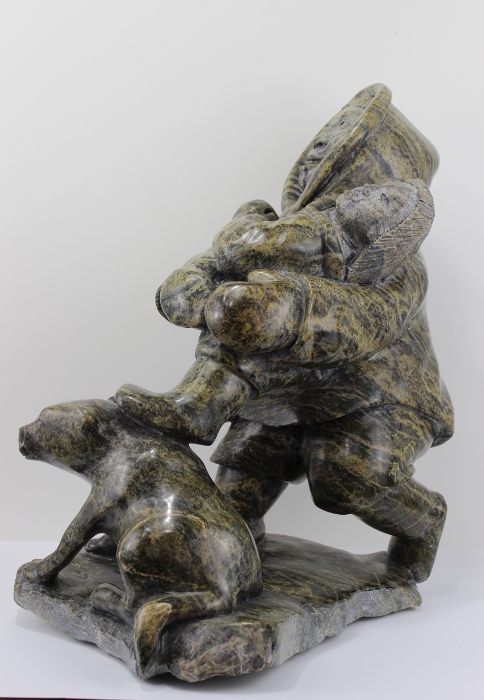 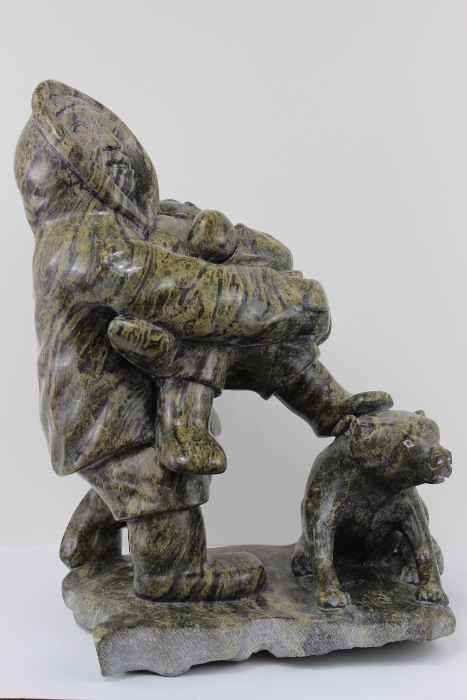 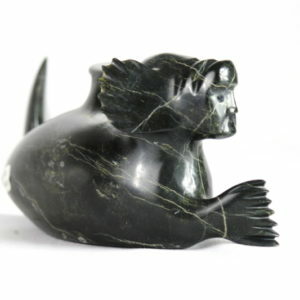 This is a wonderful piece of Inuit art. 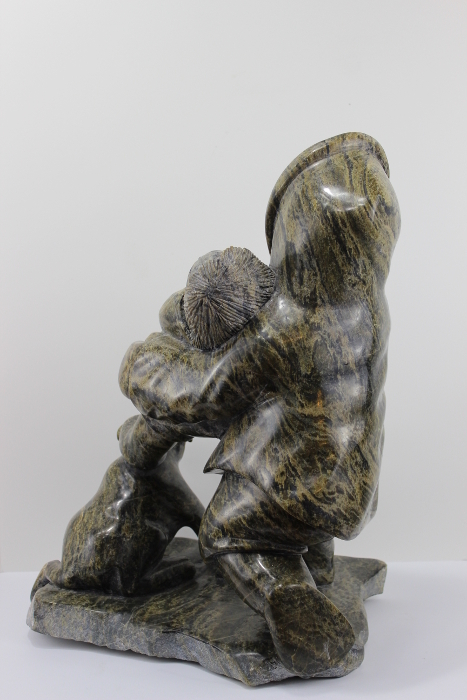 A piece full of expression and life. 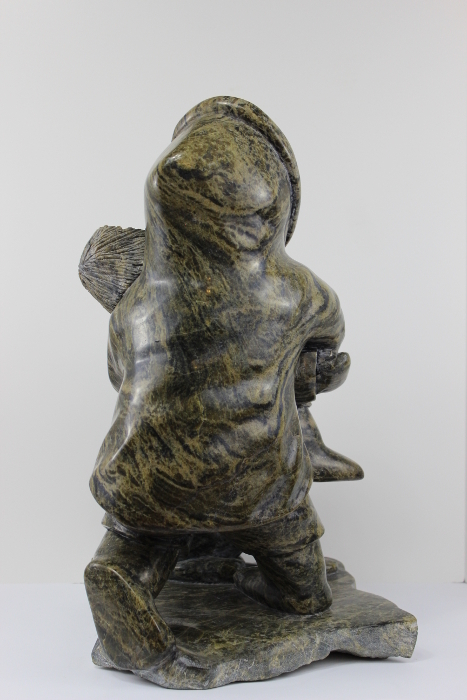 Expertly carved, this piece can be enjoyed from any angle.